Imagine preparing yourself since you were eight years old to reach a goal. Imagine in your first two attempts to reach that goal as a young adult things didn’t go your way. Then imagine you have a third shot at it in a situation that only allows you four. And imagine, once again, fate proves to be brutally unkind. 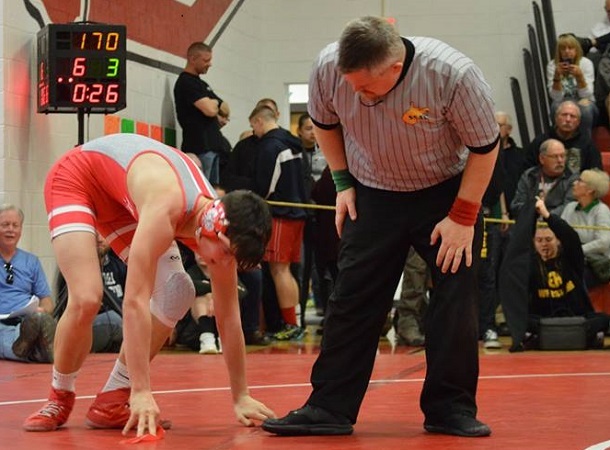 If you’re Bridgeport High School junior Josh Wojciechowicz you don’t have to imagine. It’s been the script of his wrestling journey that began roughly a decade ago. It’s the script that has led to an inability for all the wrong reasons to earn a trip to Huntington to be part of the state high school wrestling tournament. The elusive nature in three years of high school has proven to be a myriad of misfortune and close calls. The close call would be when Wojciechowicz was a freshman and wrestling in the 126-pound class. That year, he finished fifth in the regional competition. The problem? Only the top four from each region make it to Huntington. No problem, though, as the goal was to get better. And Wojciechowicz did just that last year wrestling at 145 and doing well enough to be considered in good position to make it to the state tournament after a strong first day showing in the regional competition. Day two? Wojciechowicz was hit with the flu and could not compete. That brought him back for this year, his junior season. It was another strong year with the possibility of hitting 40 wins not out of the question in the highly competitive 170-pound classification. As the regular season wore down Wojciechowicz was not only in what would be his meet before the postseason, but he was in the very last match of the Big 10 Conference Championship. And, as he had worked for, he was battling for a championship and to go into the regional on a roll. Then, as has become all too common, fate stepped in a delivered yet another brutal blow. With just a few seconds in the first period of action against his opponent from Lincoln, things went wrong. In fact, things went terribly wrong. “He shot my right leg and I went into the air and was trying to get free by jumping and trying to stay on balance,” said Wojciechowicz. “As soon as I landed, he went to trip me on my left leg and my weight was still coming down. That’s when it happened. What happened, said Wojciechowicz, was his left knee popped out of place. The injury was bad enough that he eventually couldn’t continue. The injury was on a Saturday. On Monday, after working with Coach Chris Courtney – who doubles as a doctor and surgeon in his spare time – over the weekend on his knee, an MRI was done. There was good news and bad news. The good news was that nothing was torn. The bad news was Wojciechowicz had suffered a severe bone bruise and a grade 1 sprain of his MCL. 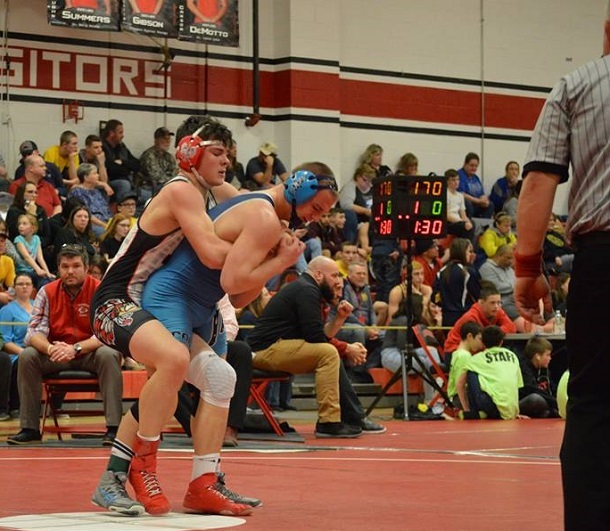 Being able to wrestle in the regional meet was going to be a tall and pain-filled order. Courtney’s medical background was definitely critical. However, the coach who has as impressive a wrestling background as you will find in this state knew what Wojciechowicz was going through physically and emotionally. “I actually have been there; when I was a freshman I was in the regional finals in overtime and I was attempting a throw when I felt a ‘pop’ in my left knee. I had immediate pain. I tried to finish but my knee just kept subluxing out of place. I couldn’t hold myself in a wrestling stance,” said Courtney. 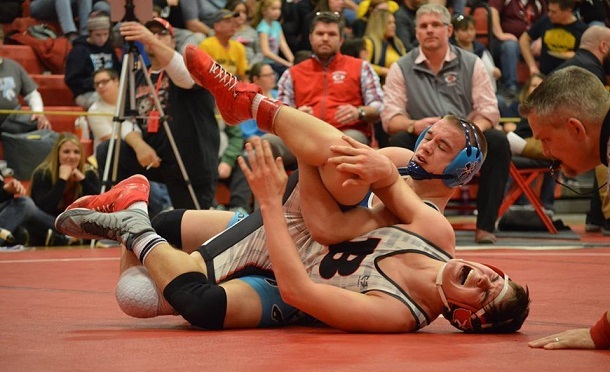 “A week later I tried to tough it out at states, but couldn’t even make it through the first 15 seconds of wrestling with a painful unstable knee. For Wojciechowicz, the momentum may have faded. At the same time, it wasn’t gone. If he could endure the pain at the regional meet, he had a shot. And if he could get one of the top four positions, the young man who wrestled in Bridgeport Parks and Recreation and was a two-time Harrison County middle school champion at Bridgeport would meet a goal long ago set for himself. It was going to require courage and a new game plan. Wojciechowicz and Courtney worked on ways to work around the knee in a sport where leverage and the use of the lower body is almost essential to everything needed to succeed. Wojciechowicz would wrestle, basically, with a leg tied behind his back. Courtney knew it. So did his student-athlete. Wojciechowicz was hopeful the revisions to his style would get him where he so desperately wanted to be. Wojciechowicz’s last match came in the consolation semifinals. In another cruel twist, he lost to the same wrestler when he injured his knee and lost by a 3-1 score. 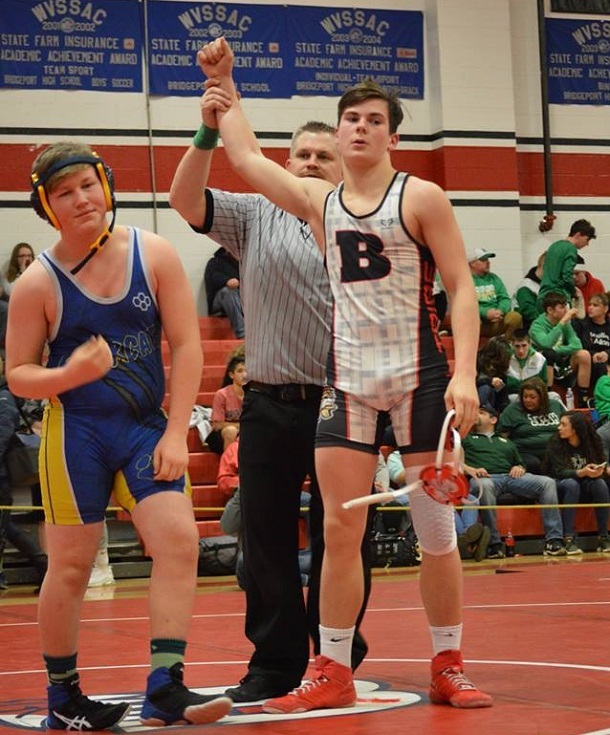 The decision meant the junior 170-pounder would finish in either fifth or sixth place and out of the running for a shot at states. At this point, Courtney stepped in. The disappointment of what had transpired wasn’t shouldered solely by Wojciechowicz. 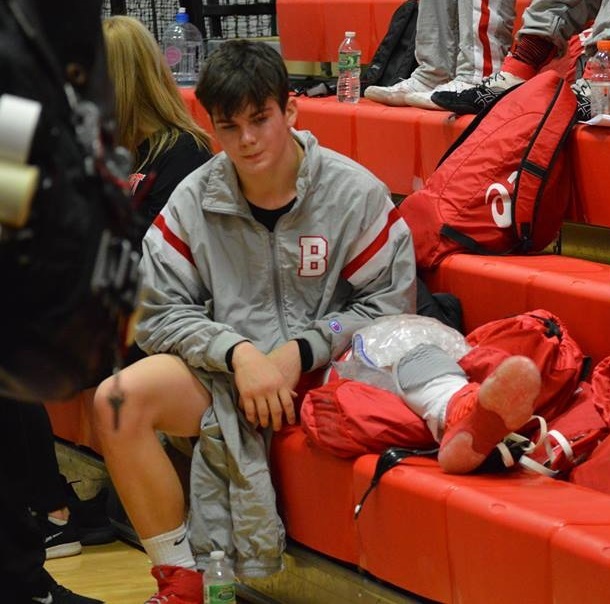 His coach also felt it in a season where injuries and illness have put a dent on a pretty solid showing by the BHS wrestling program. “Josh positioned himself to be a state qualifier and even a state place finisher prior to the injury. Wrestling is a tough sport without injuries let alone competing with an injury. Unfortunately, we had a unique season this year with injuries and illnesses,” Courtney said. “Due to this we never got to compete with the full complement of varsity wrestlers. Not even once. Wojciechowicz would forfeit the last match. He finished the year at 34-13. But the youngster that got into wrestling to help with his football efforts isn’t technically done for the season as he plans on helping the five wrestlers that have earned a ticket to the state meet excel. “I just plan (this past week) to be there with the guys because it’s hard to leave that environment. Next week, I may try to work with them to get better and achieve their goals,” said Wojciechowicz. As for Wojciechowicz, his goal is to get back to Charleston with his final opportunity. He’ll continue to work on his wrestling. He’ll continue to lift for football. He’ll perhaps do some offseason tournaments and work out with Courtney’s son Addison, who also battled health issues all year, to get ready for their senior year. “I’ll be ready next year and even though I’m disappointed I’ve accepted it. My dad (Jason) and I talked about it and he said God has a plan for everything,” Wojciechowicz said. “Maybe this stopped me from a worse injury; maybe a blown out knee at state. There’s no way to know, but that’s where I’m at. “It’s time to start getting ready for next year,” he ended. Let’s hope next year ends in Huntington. If ever a young man has earned a kind hand from fate, it’s Josh Wojciechowicz. His script deserves a better ending. 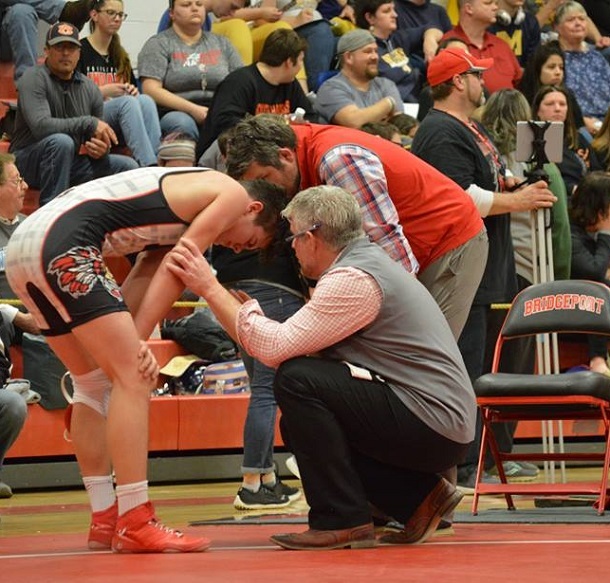 Editor's Note: The photos above are from last week's regional wrestling tournament at Bridgeport High School and show Josh Wojciechowicz in various ups and downs as the result of his injury. The photos capturing the emotional moments were taken by Jodi Muller.